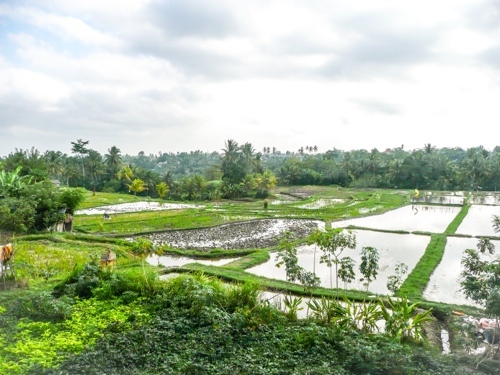 Ubud is said to be the culture capital of Bali and I can see why. I couldn’t walk down the street without stepping on offerings to the gods. 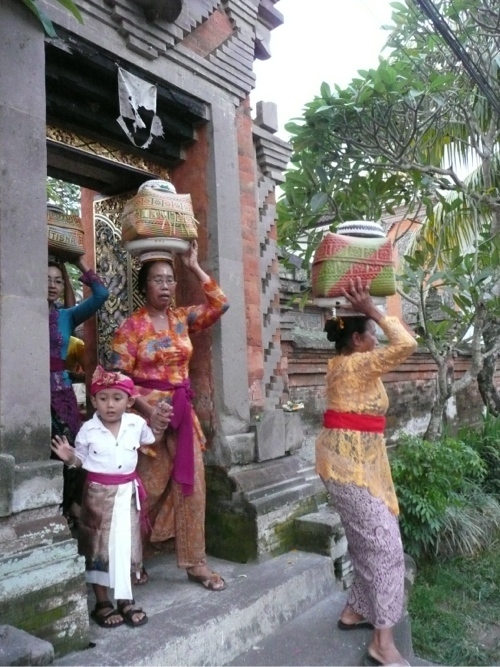 Despite these cultural reminders, I was surprised how touristy Ubud was with cameras constantly snapping away. 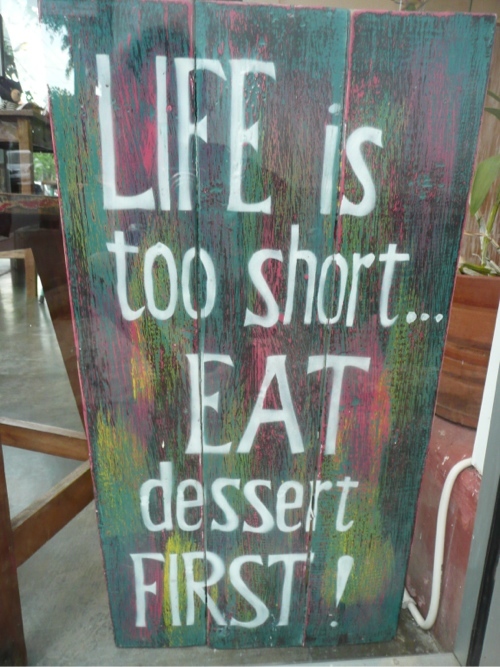 Signs like this indicate my kind of place! 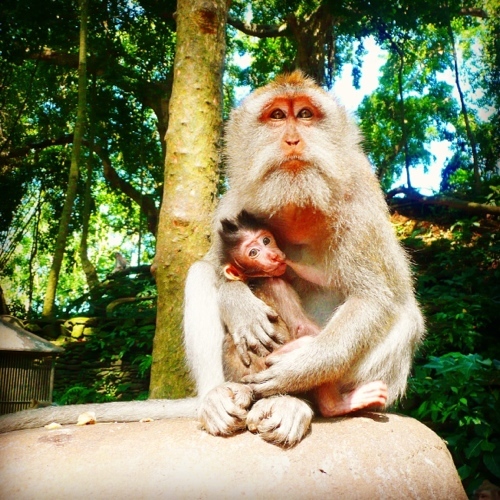 Tourists aside, Ubud has an indescribable charm and was certainly my cup of tea. Streets are lined with coffee and cake places, organic cafés, fruit stalls and shops filled with cute trinkets – what more could one ask for? There are also a trillion yoga retreats too, something I would love to do but considering I can’t even touch my toes I think Yoga may be out of the question. We spent the day walking around the rice terraces which were beautiful, but not as those found in Batad in the Philippines or Sapa in Vietnam I’m afraid. As I get further into my trip I find myself being “wowed” less and less, always thinking of a better experience I’ve had previously. I’ve spoken to a number of long-term backpackers about this growing lack of excitement and they agree, that as you see more of the world, the less mind-blowing it becomes which is a shame, but proves how lucky we are to experience so much. We went to organic cafe Sari Organik I had read about online which had the most incredible sounding menu filled with fresh organic salads and juices. I was in heaven and spent about half an hour deciding which salad to have. My last two destinations (Myanmar and the Philippines) serverly lacked any kind of fresh greenery so this was a big decision. My feta and tomato salad was nice, although I’ve had better (here it goes again!) but it was well worth the money and I would certainly return. I could have stayed in Ubud forever but I was accompanying the girls on their holiday and am lucky enough to be able to return whenever I wish. 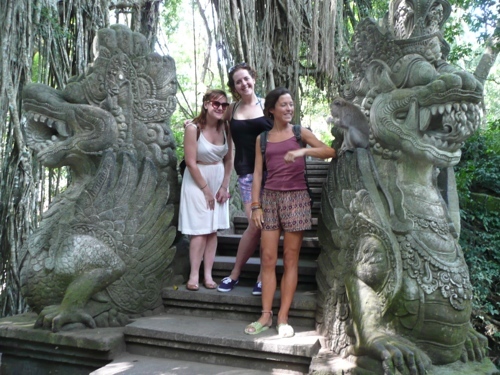 On our way back to Kuta we visited the Sacred Monkey Forest which is hugely touristy but provided us with a few laughs. As usual, KK was looking stunning in a white summer dress which turned out to be the worst choice of outfit as the monkeys climbed all over her with their grubby little hands. I laughed, stroking my very well behaved monkey, unaware it was just about to turn round and bite me! Luckily it didn’t draw blood as I was too much of a tight arse to get my rabies jab, but it put me off petting any more furry creatures for a while. 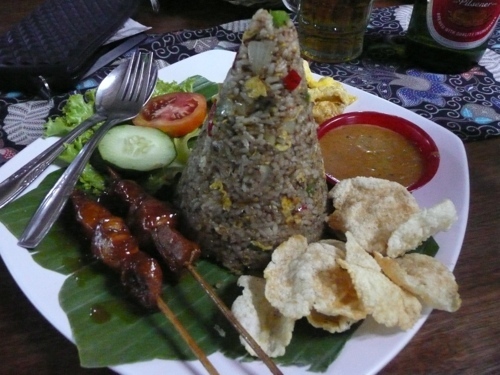 That evening we went to Warung Indonesia for local Indonesian food which was rather pleasant and good value too. I had my first taste of chicken satay which I loved, being a big fan of peanut sauce. As we strolled along the main strip in Kuta, named Poppies 1 and Poppies 2, it all became clear why everyone I had met said “don’t go to Kuta”. It was like a scene from Magaluf but slightly worse and with me not feeling well, I knew I had to leave. 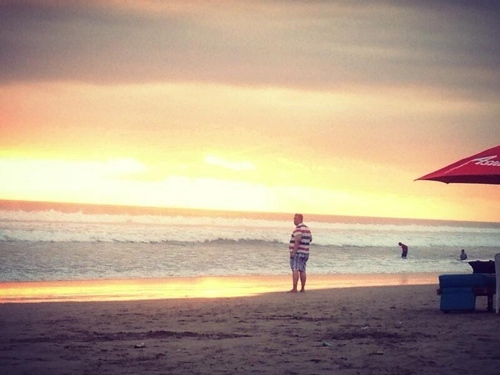 Although I was eager for a night out with the girls, I knew that the overly loud music of Kuta with it’s Bintang-vest-wearing drunks was not a place for me. Saying that, I would probably return as I missed taking part in releasing the turtles on Kuta Beach which happens on a regular basis – visit Kuta Sea Turtles to find out more. Toptip: Walk slightly off the main strip to find better value accommodation. There’s no need to pre-book a room as choice is plentiful.